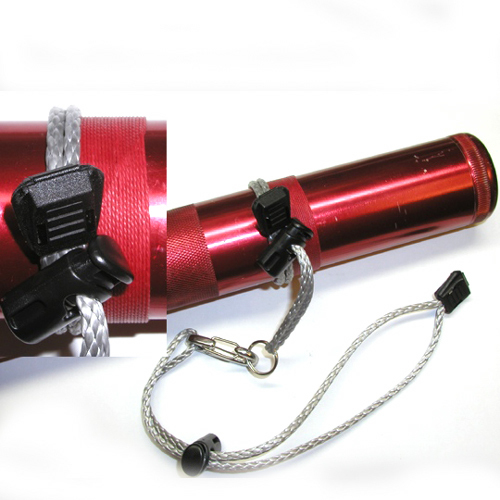 A kit to create a somewhat universal wrist lanyard that could attach to most tools and flashlights without necessarily clipping to an attachment point. It is made up of a simple combination of parts that can take on a myriad of applications. The important detail here is that it includes Amsteel, and because Amsteel is extremely strong, it won't break. This design includes a deliberate weak point - the cord pulls - which will detach if in a situation where you want a release of this lanyard. 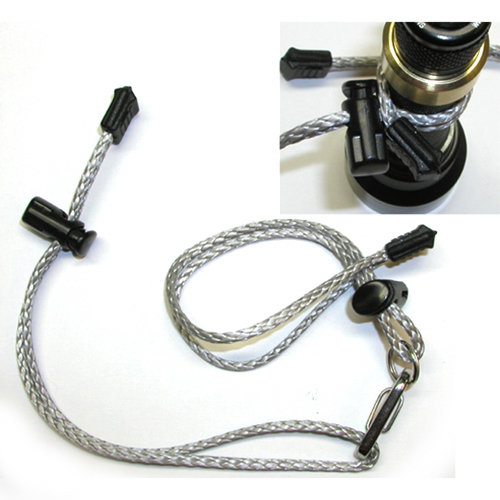 Kit includes 6' Amsteel cord, mini-clip, 1/2" split ring, two cord locks and two cord pulls. consists of two pieces of spectra 7/64" line; each 18" long. One section, with a clip, will typically be the loop that goes on the wrist and either attaches directly to the tool or will attach to the other half which is used as a cinch and set on tools which don't have simple attachment points. 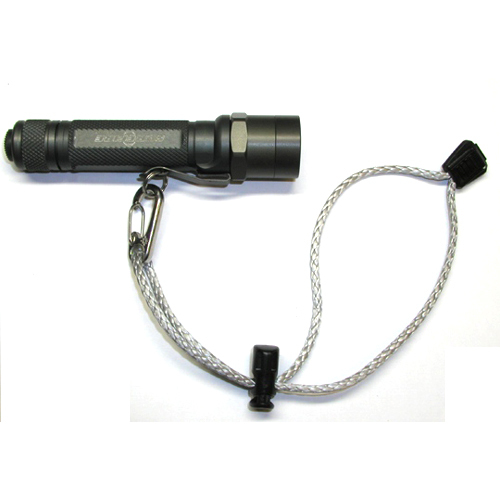 A non specific wrist lanyard that can be pulled out and used with a tool or light when and if a task requires a secure connection between an individual and the tool. this system is very simple in design and application, it is surprisingly effective and sound in function. The cinch and set portion provides an adjustable "soft" attachment to the tool. 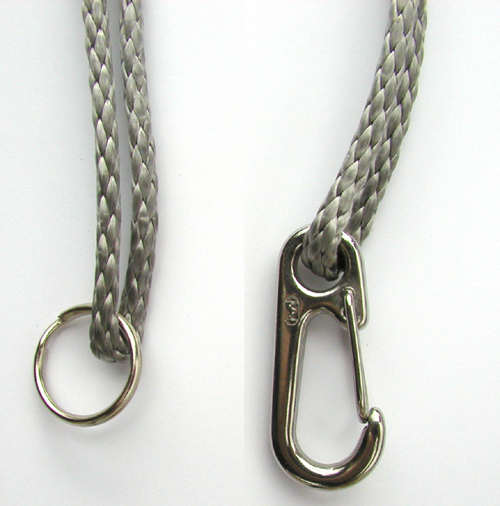 In some cases a short attachment lanyard might be needed for clipping a tool to a work belt or bo'suns chair. In this case, the portion with the clip can be attached to the tool and the portion with the split ring can be used as a wrist strap. 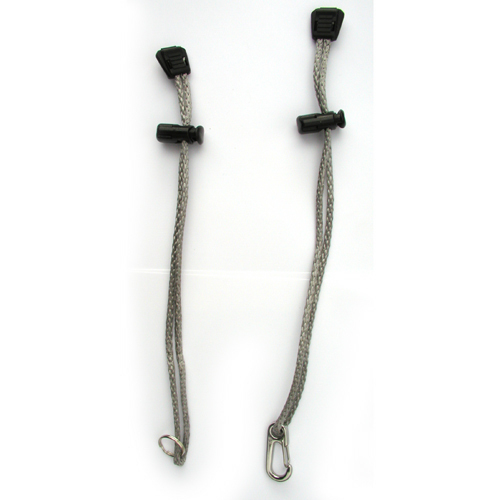 The tool can be transferred from the tool belt to the wrist strap when in use. 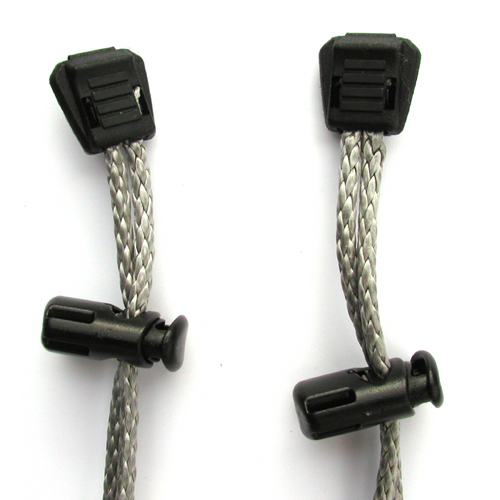 The weak "links" in this system are the plastic tab terminations that close the loop on both sections as well as the split ring which is in the "chain of load" when both sections are in use. The terminations have pointed teeth which grab the ends of the spectra and hold the line fast for a secure and strong connection. They will however fail well before the spectra rope would. In one simple load test, one of these terminations popped open when the load got to 45 pounds. This kit comes unassembled, to pass savings on to you. Application overview can be found here.